SAN NARCISO, Calif. (Bennington Vale Evening Transcript) -- In January 2011, fast food restaurant Taco Bell was sued for thinking outside the barn. The class-action suit, which sought no monetary damages, objected to Taco Bell referring to its products as seasoned meat, when a substantial amount of the filling was composed of water, isolated oat product, wheat oats, soy lecithin, maltodextrin, anti-dusting agents, autolyzed yeast extract, modified corn starch and sodium phosphate. Taco Bell's definition of "seasoned meat," the suit alleged, did not conform to consumers' reasonable expectations or the U.S. Department of Agriculture's definition of meat as the flesh of animals. But the USDA also defines tacos as a "food of Mexico," which remains an ongoing complaint. The suit was eventually dropped in April 2011, with Taco Bell representatives celebrating the company's vindication. But problems persisted as the radical animal rights group PETA continued to lavish praise on Taco Bell for its decision to forgo the use of meat in its food. This week, Taco Bell proved critics wrong as British regulators discovered large amounts of horsemeat in the food, sending consumers a clear message about the company's commitment to creating meaty, Mexican-inspired cuisine. Two years ago, Greg Creed, Taco Bell's president, expressed relief and triumph: "To imply that our tacos were actually full of grains, vegetables, oats and other fillings with no relationship to processed red meat was appalling. We're not operating some tree-hugging, vegan, bark-and-beansprouts health market. This is good old fashioned American food, inspired by Mexico -- the country where we hire most of our workers. We feel totally vindicated, and want our valued customers to know the tacos we sell are as beefy, indigestible and unhealthy as they've come to expect." Britain's Food Standards Agency (FSA) announced Friday that more than 99 percent of the readings from tests conducted during the past seven days showed significant horsemeat levels in many food products. The use of horsemeat in food has spread rapidly across Europe since January, when first detected in Ireland. 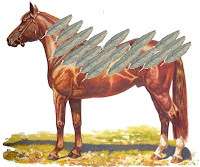 Equine DNA was also discovered in IKEA meatballs, Burger King patties and Birds Eye frozen dinners. Nils Brakesworthy, Taco Bell's U.K. spokesman, said in a statement that "based on that testing, we learned ingredients supplied to us from one supplier in Europe tested positive for horsemeat. So again, to all those conspiracy theorists who accused us of supplanting a vegetarian agenda into our products, and to PETA -- an organization with which we couldn't disagree more -- we proudly assert that our tacos are brimming with red meat -- from several different animals, in fact. I'll even go so far as to say nothing is meatier." But government regulators such as Britain's FSA and the United State's Food and Drug Administration (FDA) have now attacked Taco Bell for using the meat, citing safety concerns. "It's absurd, really. First we're given the third degree for not using enough meat and now we're being scrutinized and fined and punished for using meat. I believe the issue is not one of product design but racism," Brakesworthy exclaimed, accusing regulators of anti-Mexican sentiments. Regulators fired back that nothing is more culturally insensitive than calling Taco Bell items "Mexican food." But the pressure being applied has caused Yum Brands, Taco Bell's parent, to suspend using more than 1,000 poultry slaughterhouses in China, to tighten food safety. Officials with Yum, bowing to regulators, attempted to plead ignorance by claiming that the Chinese farms had cleverly mixed horses into populations of the various fowl typically cultivated there. "We were deceived," a spokesperson said. "When you tour the farms, all you see are feathers. Some chickens are bigger than others. How could we know they pasted feathers onto ponies? We're not veterinarians." And officials are now wondering why Yum Brands is contracting with poultry farms for beef. Regardless, Brakesworthy feels confident that the issue is resolved and that Taco Bell customers are relieved to know they are purchasing 100-percent meat in their products. The only legal trouble still haunting the restaurant is the two-year-old suit from the Mexican government. "The entire country of Mexico launched a class action suit against Taco Bell in 2011 for referring to its menu items as Mexican food. That one's gonna kill us, frankly. We proved that our food was made from more than 35-percent meat, but only two percent of Taco Bell contains actual Mexicans. And they're the ones deep frying tortillas and wiping down toilets after hours," explained Barry Johnson-White, the company's U.S. legal counsel.